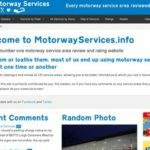 Motorway Services – the website that started this all off! Featured on Channel 4, BBC Radio 5, the Daily Telegraph, the Daily Mirror and a host of local radio stations across the UK. 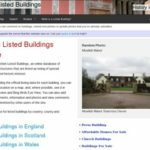 British Listed Buildings – a database of every listed building in the UK, with user-submitted comments and photographs. 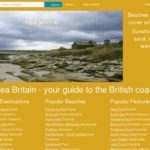 Sea Britain – Beaches to bays, coves and caves, sunshine and sand, ocean waves. Your guide to Britain’s coast and coastal features. 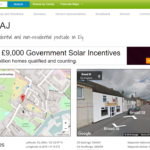 Check My Postcode – All the key information for your local postcode. Find out typical house prices, council tax bands and business rateable values. See who represents you in parliament and your local councils, and discover how Ofsted has rated local schools. Check whether superfast broadband is available, and see how popular it is. See where your postcode is on a map, and view it via Google Streetview. Read what other people have said about your postcode, and leave your own comments for others to read. 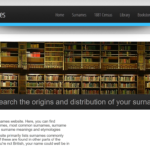 British Surnames – Research the origins and distribution of your surname. Find information on similar surnames, most common surnames, surname distribution maps as well as surname meanings and etymologies.